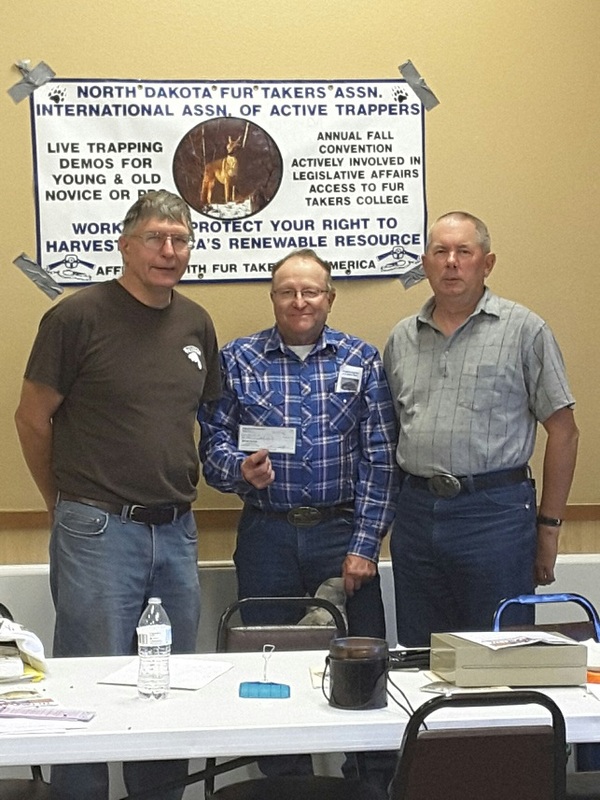 Bruce Willyard and Mike Liane present a check for $5000 to Harold Johnson to help defeat Montana ballot Initiative I-177. 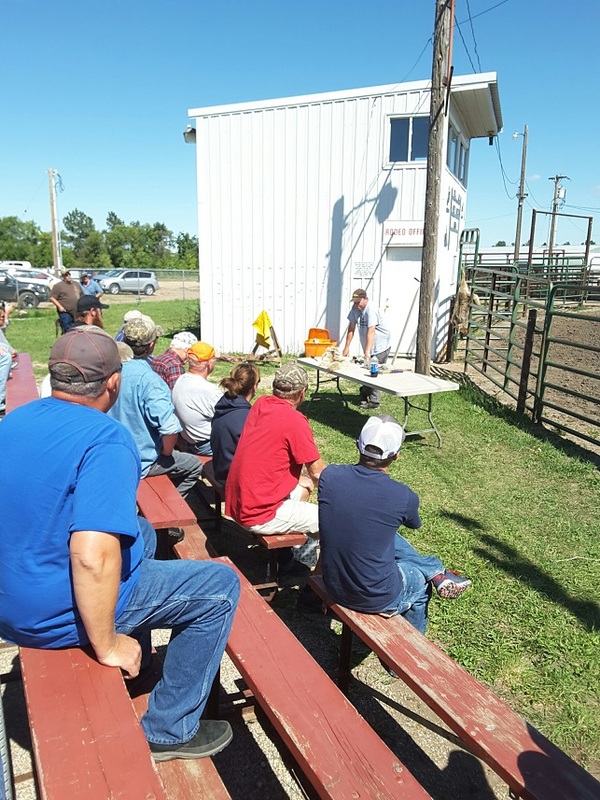 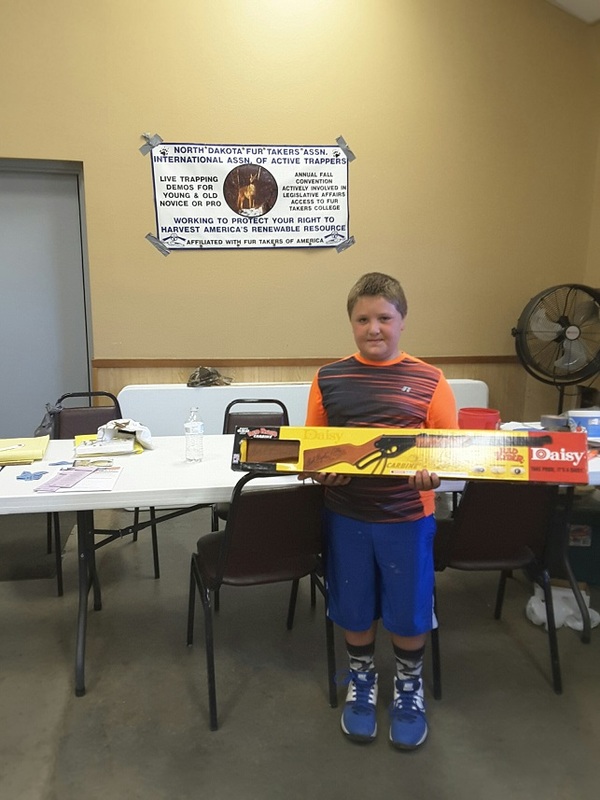 BB Gun winner - Kane W.
Ryan Demchynski - Coyote skinning demo. 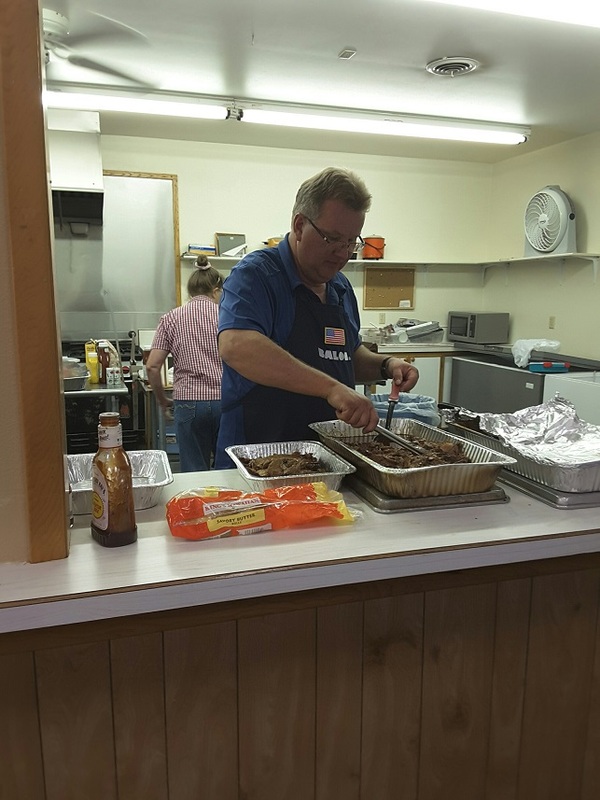 Chef Brian Grote and Peggy Brandenburger making our excellent noon meal. 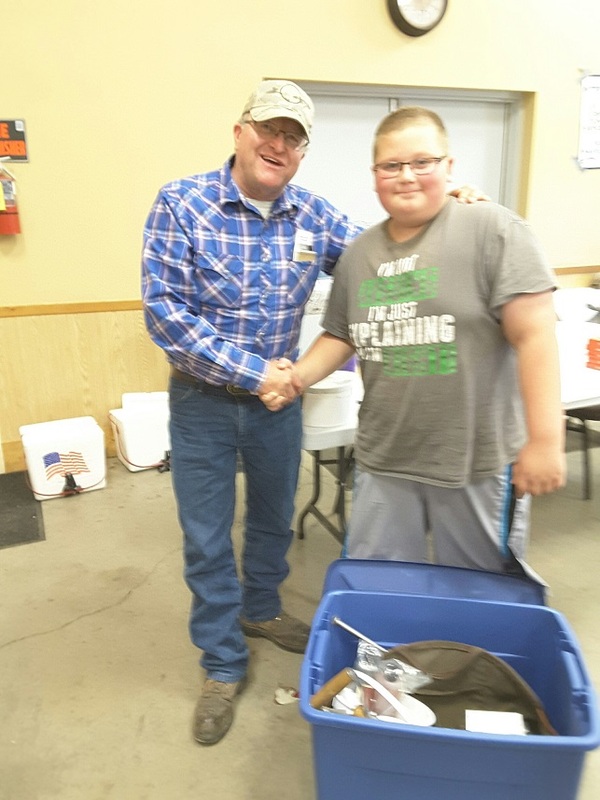 The Mystery Under 18 prize winner - Levi W. won a tote of trapping supplies.